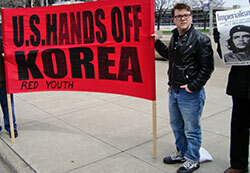 Red Youth in Detroit called a rally in solidarity with the Korean people on April 20. They said that in light of the recent escalation of tensions on the peninsula, their message to the imperialists was “U.S. 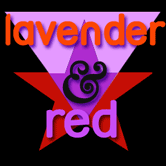 hands off Korea!” They explained that the U.S. alone is responsible for the crisis developing in the region, and the first step for any lasting peace is for Washington to stop its aggressive posturing and preparation for a destructive war.